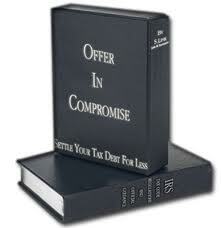 Most people have heard about Offer In Compromises. An offer in compromise (OIC) is an agreement between a taxpayer and the Internal Revenue Service that settles the taxpayer’s tax liabilities for less than the full amount owed. If the liabilities can be fully paid through an installment agreement or other means, the taxpayer will in most cases not be eligible for an OIC. 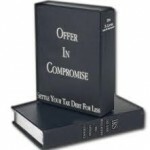 An offer in compromise is not merely about offering an arbitrary amount to pay to settle the taxpayer’s account, but rather subject to financial computations and IRS rules. If you or your business is currently in an open bankruptcy proceeding, you are not eligible to apply for an offer. Any resolution of your outstanding tax debts generally must take place within the context of your bankruptcy proceeding. This entry was posted in Offer In Compromise and tagged Back Taxes, File Tax Return, IRS Problem Help, IRS Tax Problems, Tax Problem Solutions. Bookmark the permalink.